David Jantzi enters his 2nd season as an assistant on the Vikings athletic training staff in 2018 as Assistant Athletic Trainer/Physical Therapist. He spent the 2016 season working with Twin City Orthopedics during the offseason and then joined the Vikings at the beginning of the 2016 season to assist the Vikings medical staff. Before joining the Vikings, Jantzi earned his first full time NFL position with the NFC North rival Chicago Bears. Jantzi assists in the evaluation and care of all injuries sustained and helps implement proactive treatment and rehabilitation programs for the athletes. Jantzi started in the athletic training field as a student at the University of Nebraska, where he assisted with the athletic training staff for football during his undergraduate days.  Following his graduation in 2003 with a bachelor’s degree in athletic training, he went on to A.T. Still University’s Arizona School of Health Sciences to earn his Doctorate degree in physical therapy. After graduation, he moved to Minnesota where he worked for NovaCare Rehabilitation and gained his first NFL exposure by interning with the Vikings during the summer off season program from 2007-2010. He left NovaCare to become the Head Athletic Trainer for the Arena Football League’s Chicago Rush in 2011-12, and later returned to Minnesota again to help provide game day coverage during the 2013 season. Jantzi is certified as a Certified Strength and Conditioning Specialist by the National Strength and Conditioning Association. Jantzi is also a certified in Level 2 dry needling. The Vikings staff was honored by their NFL peers as the Athletic Training Staff of the Year for 2017 as part of the annual Ed Block Courage Award gala. Jantzi, a native of Wood River, NE, and graduate of Wood River High School, is a member of the National Athletic Trainers’ Association along with being a licensed physical therapist in Minnesota. Jantzi is married to Sarah and the couple resides in Elk River with their sons, Daxon and Rocco.